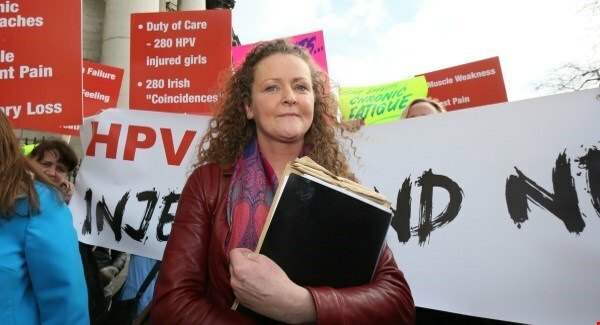 Fighting for the recognition of their vaccine-injured daughters in the eyes of healthcare and political policy, growing numbers of Irish mothers and fathers throughout the country are garnering the world's attention. At the same time throughout Ireland, many are asking for the Human Papilloma Virus (HPV) vaccine to be withdrawn in the country. Countries globally are experiencing their newly unveiled mandatory HPV vaccine programs in various stages of deterioration and failure. Amidst this chaos, a perfect storm of well-deserved bad press, mounting HPV vaccine injury and political apathy has descended upon Ireland. Mainstream special reports and news stories coming from the Emerald Isle continue to cast a light on the negligent silence of Ireland's political class. The Irish healthcare system is rapidly losing the respect of its people through years of misdiagnosing Gardasil vaccine injury and medical incompetence in its treatment. The mishandling and inaction regarding Ireland's vaccine-injured daughters is now front and center for the world to see in Dublin’s High Court.